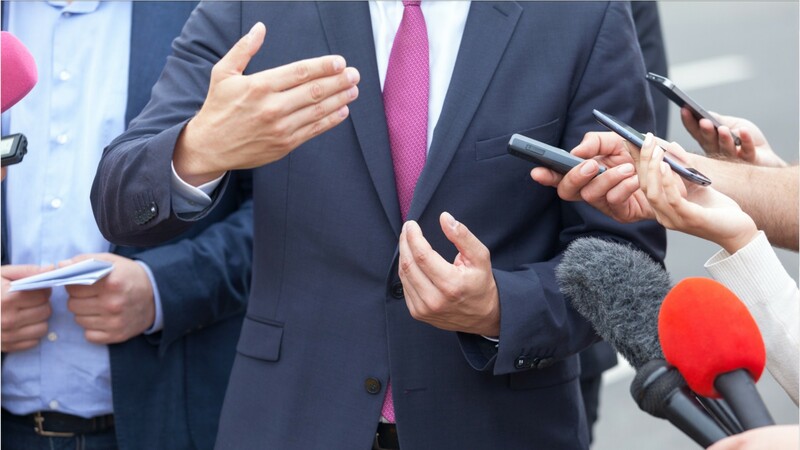 Whether they are meeting with reporters… helping to expand a client’s online presence… or crafting public statements… public relations—or PR—specialists create and maintain a favorable public image for the client they represent. Also called media specialists or —when they work in government— press secretaries, PR specialists handle an organization’s communication with the public. In government, they inform the public of government officials’ and agencies’ activities. Public relations specialists draft press releases and contact media who might print or broadcast their material. Many news stories start at the desks of PR specialists. Press releases typically discuss an issue of public interest and how an organization’s work affects that issue. Most of the time PR specialists work in offices, but they also deliver speeches, attend community activities, and occasionally travel. They tend to work full time during regular business hours but long workdays and overtime are common. Most PR specialists need a bachelor’s degree. Employers prefer candidates who have studied public relations, journalism, communications, English, or business. Internships in a PR role, experience writing for a college newspaper, or holding a leadership position in student activities can be helpful in getting a PR job. See more details at O*NET OnLine about public relations specialists. Public Relations Specialists by U.S. Department of Labor, Employment and Training Administration is licensed under a Creative Commons Attribution 4.0 International License.